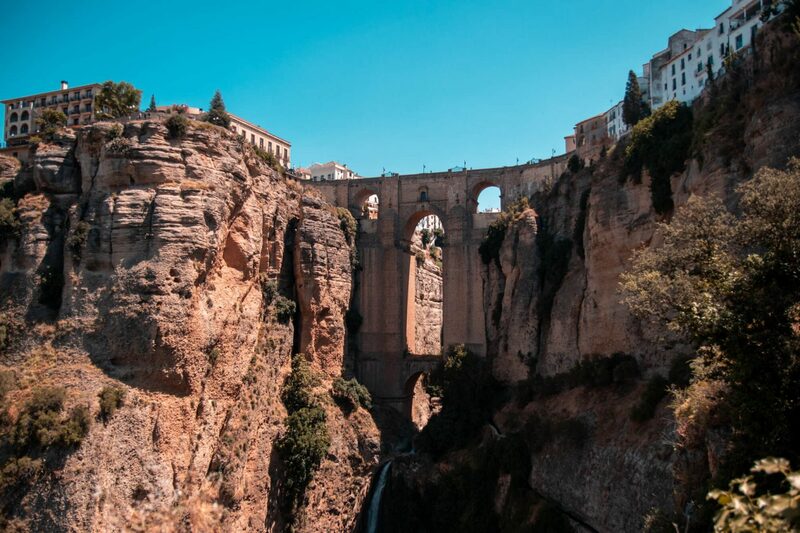 During our summer holiday to Malaga, we booked a one day trip to the mountaintop city of Ronda, Spain. Personally, I get very itchy feet when travelling and although I like to take some time to relax, I also want to fit in as many experiences as I can. This kind of holiday isn’t for everyone and I can appreciate that, but I’m just not one of those that can spend a week solely sitting by the pool. 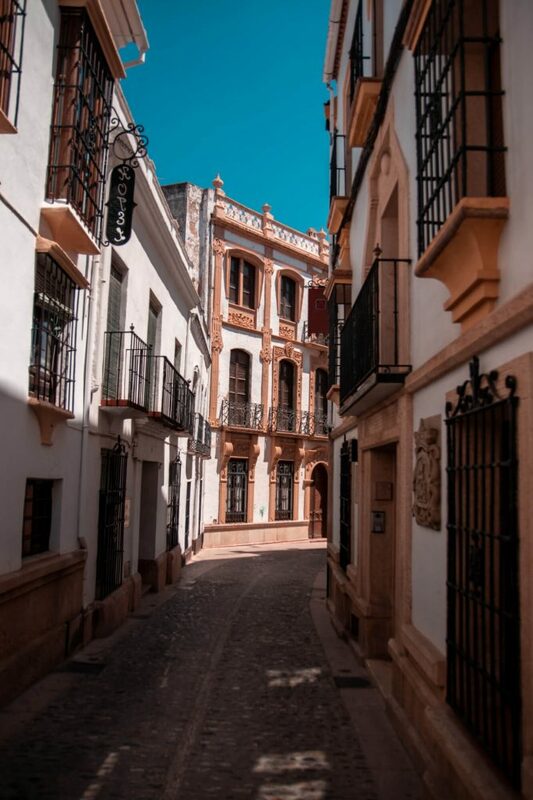 So once we had finalised the booking of our holiday, I hopped straight onto Pinterest scouring lists of the best things to do in Malaga. 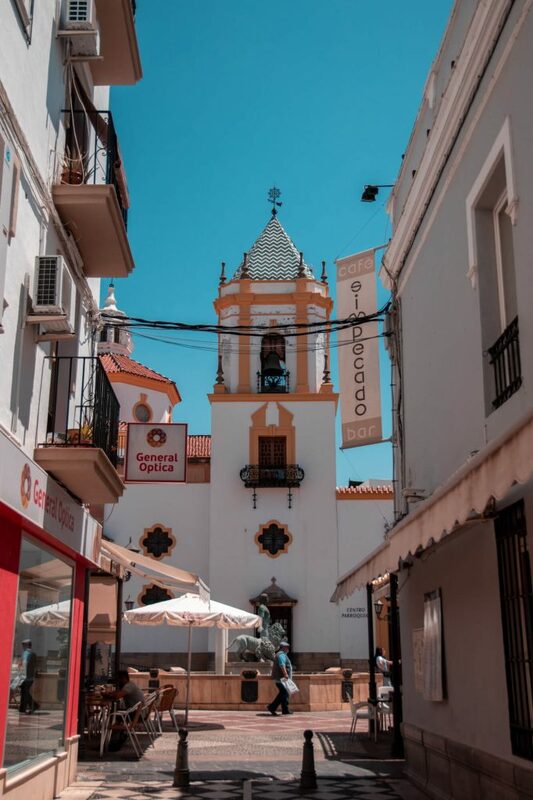 As a whole, Spain is not my forte, which is something that I definitely want to change and is part of the reason that I am so keen to experience more of it. Peter definitely has a wider knowledge of the people, the language and the history than I do and has many fond memories of holidays from his childhood, so I’m playing catch up here. When reviewing the suggestions on Pinterest I came across many pictures of Ronda. 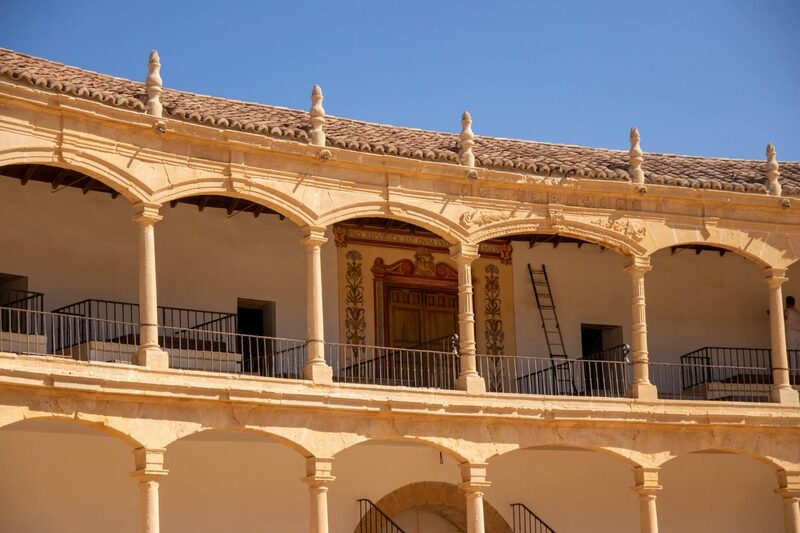 Ronda is situated approximately 60 miles West of Málaga in Andalusia and has a population of 35,000. 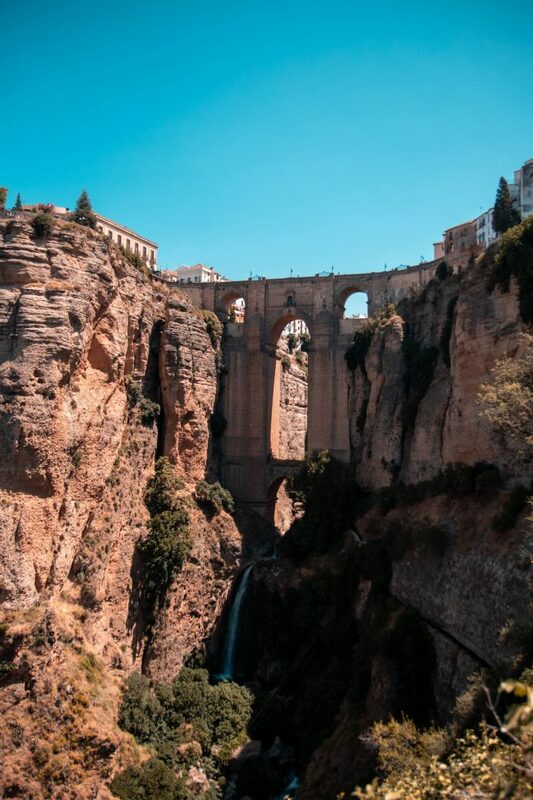 So, if you are anything like me, you don’t know much about Ronda, but that’s OK because I’m about to give you a rundown of our one day Ronda itinerary! 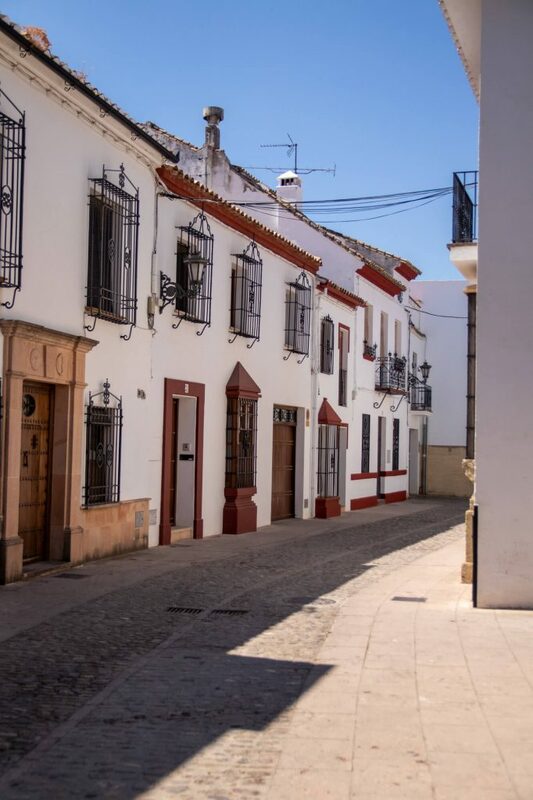 Booking our trip to Ronda was extremely easy, we were staying in the town of Benalmadena and found a small shop on the beach front which organised group tours and day trips to many of the nearby destinations. 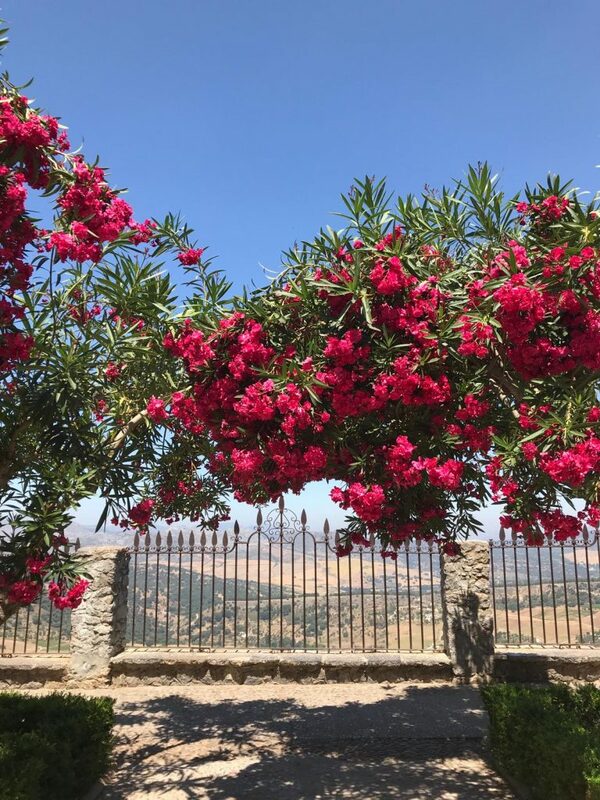 We actually booked two-day trips by this method, one to Ronda and one to Seville and I found this to be very trustworthy and affordable, with our Ronda trip costing around €20 return each. 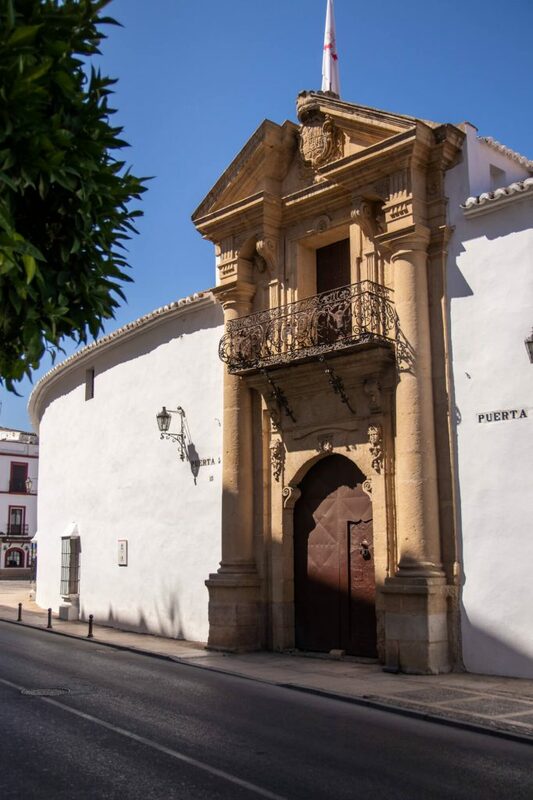 We were collected early morning at a bus stop just across from our hotel and after a couple of stops to collect further passengers, along with a quick toilet/breakfast break, we had a 2-hour journey towards Ronda. These bus journeys are brilliant as you have a guide providing information of the surroundings over the length of the trip and I did feel that I learnt a lot about the area. 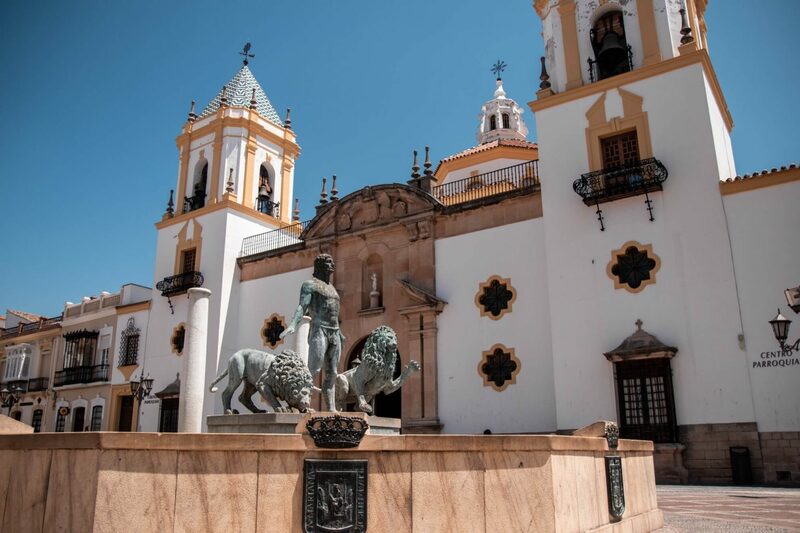 Our arrival at Ronda bus station was really quite amusing, you get the option to pay for a guided tour around the main attractions or you can pay simply for the journey and spend the day as you please. Well, Peter and I had chosen to do the latter. 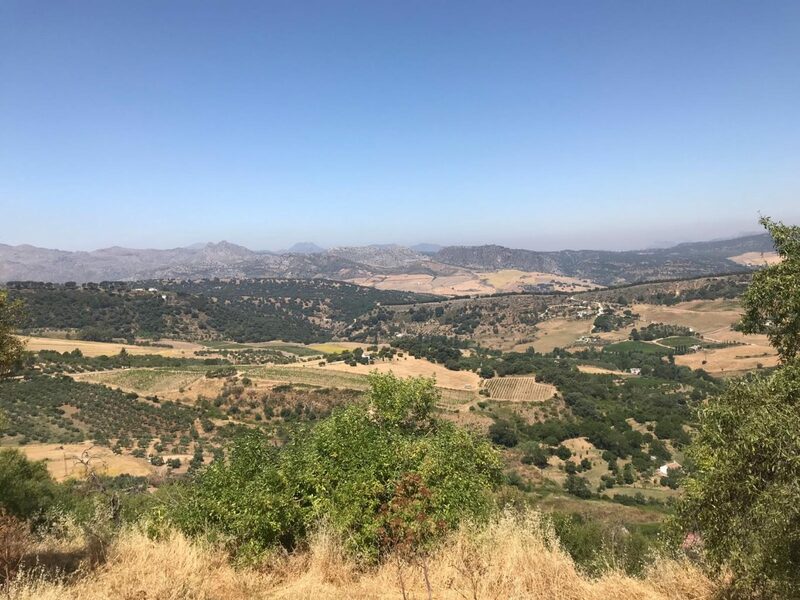 As I said, I had been doing my research online, we knew what we wanted to see in Ronda and in honesty, we didn’t want to be held back due to the shortage of time, but as it quickly became apparent, we were the only two on the trip to have chosen this option. And we were named and somewhat shamed on the bus, and then again when we departed the bus. We genuinely got a ‘Everyone this way! Except you two, you can’t come with us’ clapback. Of course, there was no malice intended and it was very funny. We had approximately 6 hours in Ronda and in theory, that seems like a fair length of time to get around. But bear in mind, we didn’t know our way around and we really wanted to appreciate and take in the locations, we weren’t just there for the photos! Unfortunately, we didn’t manage to tick everything off the list but I am more than happy with the few things that we did manage to see and it is somewhere we would love to return for a trip in itself. First stop, Plaza de Toros, the bullring. 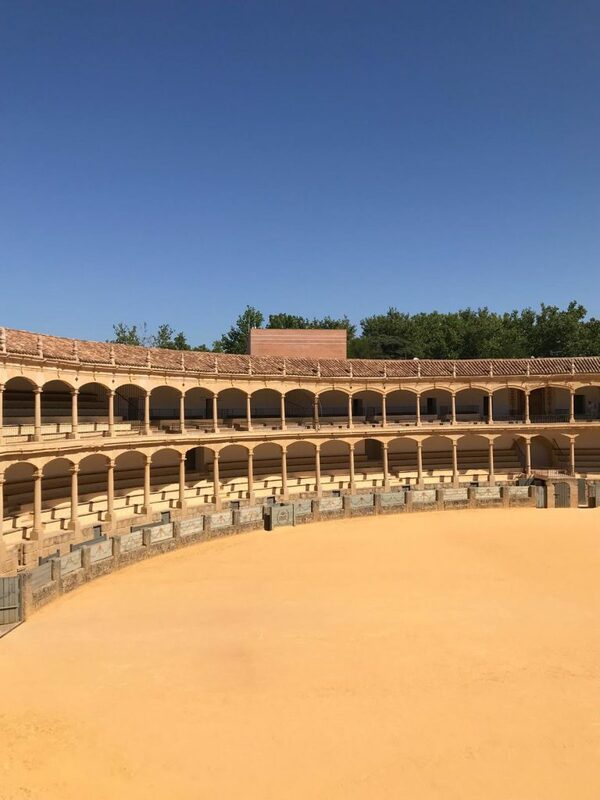 I was really looking forward to visiting the bullring, it’s steeped with so much culture and history that I just wanted to experience what it would be like. 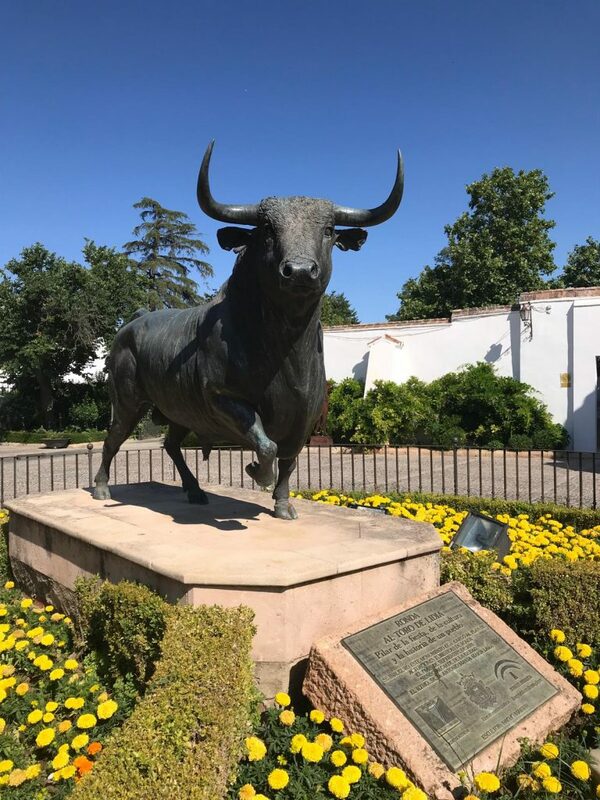 We’re not advocates of bullfighting, so personally, wouldn’t go to a bullfight but I can appreciate the building and theatrics for what they are. After paying a small admission fee we were left to wander the Ronda Plaza de Toros. Upon entering, the first thing we saw was the chapel where bullfighters take a moment to pray before entering the bullring. The small room was very decadent but I found it quite haunting, as though it had a heaviness. After seeing the chapel we followed on to the museums. Now you can simply pay your admission and walk straight through to the bullring but as we considered that the focal point, we visited the museum portion first. 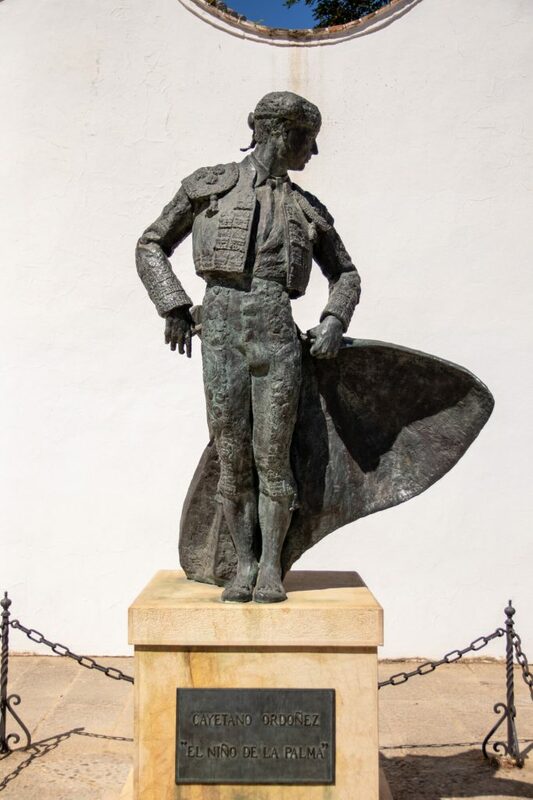 The museums are separated into two sections; the Real Maestranza de Caballería has artefacts of the training of cavalry, antique weapons, uniforms and armour while the Museo Taurino has bullfighting artefacts from past to present, with prints, dress and memorabilia. I thought both were quite fascinating but on completely different spectrums. One very dark and one very bright and colourful but both engaging. From there, we reached the bullring. I don’t know what I expected but I was surprised by how big it was and standing in the middle of the ring and looking up at the stands was quite something. It was warm and bright with the sun, but you got the sense of it being quite regal and important. I can only imagine what it would be like with a bullfight and how the noise would carry throughout the stands. Leading on from the bullring we started to make our way to El Tajo gorge, but first it was a walk through Alameda del Tajo park. 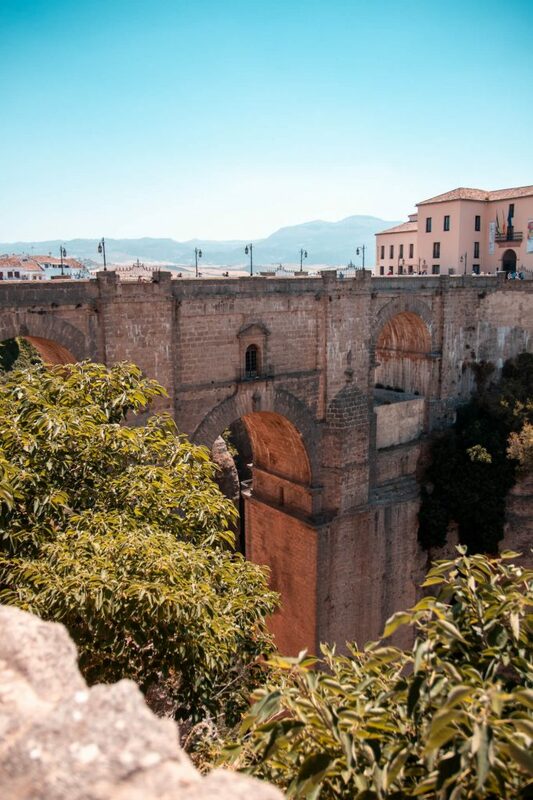 The park runs from the bullring to the cliff edge where you will find some of the most incredible panoramic views of Ronda. Something to look out for along this route and by the Puente Nuevo are the coño balconies. Coños being a rather colourful four letter word and the balconies named so, as the shock of the view below the overhang of these balconies causes people to shout out, oh **** but I have also heard that it is the equivalent of the Scottish term, erm, fanny. So you may get called a fanny, or *ahem* similar, if you get a scare. It’s pictures of the Puente Nuevo bridge that initially caught my eye on Pinterest. I have never seen anything like it and as silly as it may sound, I really wanted to visit Ronda for that reason. I wanted a picture and I wanted to tell other people, like you, about it. 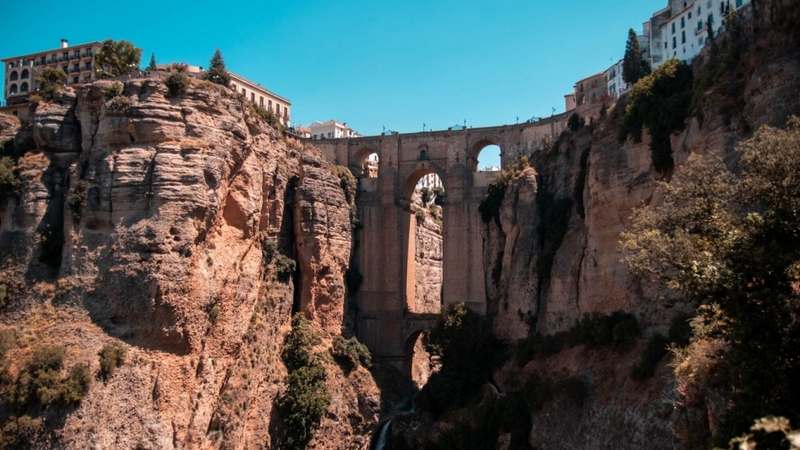 From what I know, Ronda is split into two halves over the El Tajo gorge, the new town and the old quarter, connected by the Puente Nuevo (new bridge). This is the best known of the bridges, and like me, the one you would most likely find pictures of online but there are actually 3 bridges in total. I knew from seeing pictures online, what kind of photo I wanted of the bridge and after walking along the balconies I found where I needed to be to get it. So we crossed the bridge into the old town, which is beautiful, and we walked the steep path down into the gorge. I say it was steep but if you are wearing sensible shoes or trainers, it’s probably not that bad. 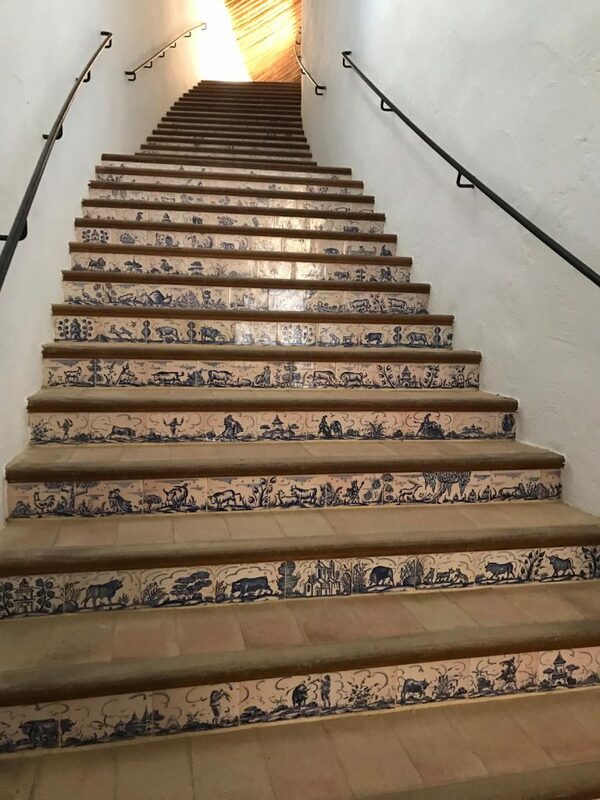 If like me on the other hand, you decide to wear a floaty skirt and slip on shoes, walking down the windy cobbled road is a little more challenging. Doable, but requires more effort. Totally worth it though. Along with wearing sensible footwear, I would recommend taking a drink with you and obviously beware of the ‘danger of death’ signs. 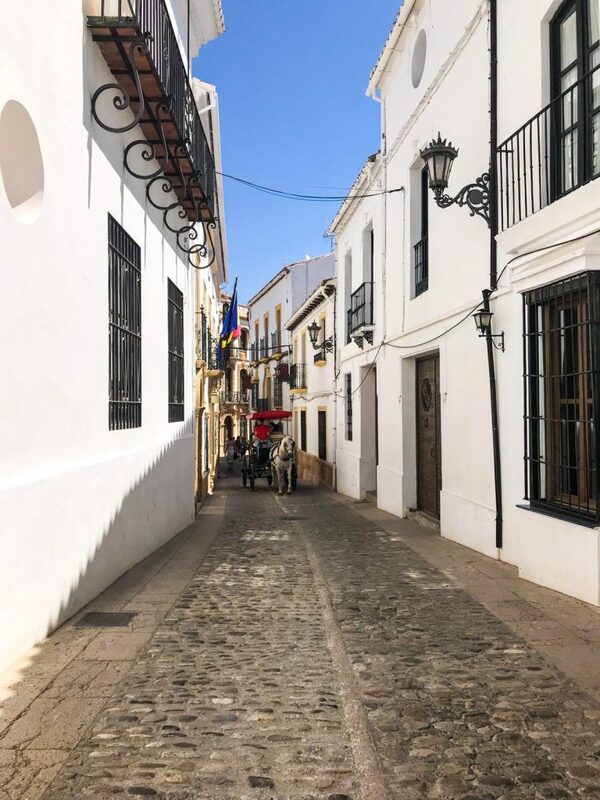 After visiting the Puente Nuevo bridge, we took a stroll through the cobbled streets of the old town where we stopped for a drink and admired the surroundings of the whitewashed buildings. We then took a walk to Jardines de Cuenca, a series of terraced gardens just on the other side of the gorge. These gardens hang over the El Tajo canyon and towards the Puente Viejo (old bridge). As green and lovely as the gardens were, I felt sick at the amount of tourists teetering on the edge of the walls to get that all important selfie. Walking into the new town we stopped by the Plaza del Socorro which is a central location, square in Ronda. You will firstly notice the fountain with statue of Hercules in the middle of the square, this sits on top of a car park and is surrounded by bars and cafes. The square leads towards the main shopping areas. 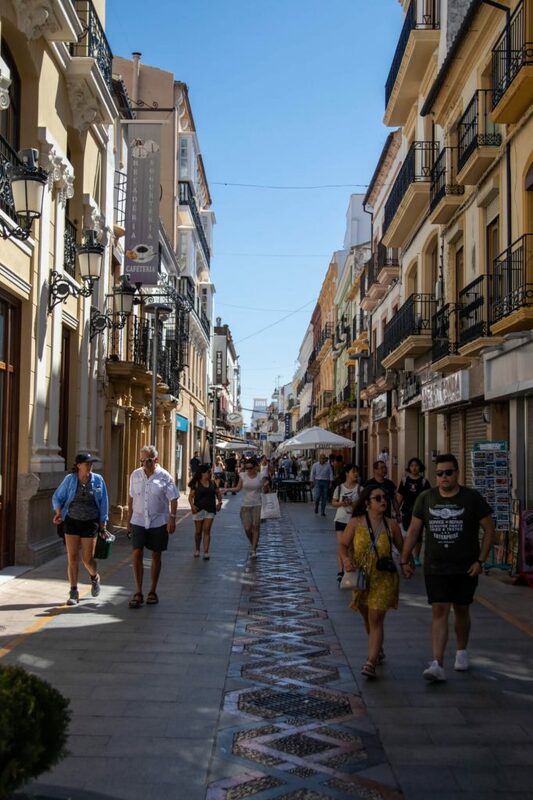 Shopping in Ronda includes many of the high street brands that we know and love, my favourites being Mango and Zara. We didn’t spend too much time wandering the shops but there was a lot of hustle and bustle around the area. We even saw a man walking a meerkat on a lead! A sight we did not bargain for and definitely required a double take. By this point we were starving but also running short on time so we chose a quick stop cafe on Carrera Espinel/Calle La Bola. Had we more time, we would have stopped for some authentic Andulcian cuisine but we were very pleased nonetheless to find a nice bakery style cafe called Granier. Granier is great for people watching first and foremost, with outdoor seating on the main street, the nosey side of me loved this. It also has the biggest selection of slushed ice drinks which I also adore. It’s the little things, simple tastes. We chose a couple of things to pick at, we had a vegetarian pizza focaccia style meal with a sandwich and a couple of pastries. I do believe that Granier may be a chain and the food was fine and inexpensive for what we had. And with that, it was time to find our way back to Ronda bus station. There were lots of other things that we had really hoped to find time to visit (the Arab baths especially) but agreed that this was a destination that we definitely wanted to return to and see more of. One downside to these planned day trips is that you only really get around 6 hours (at best) in the location and taking into account the time spent finding the areas you plan to visit, a stop for food, and with the 4 hour round trip, you really have to weigh up the value in doing this. 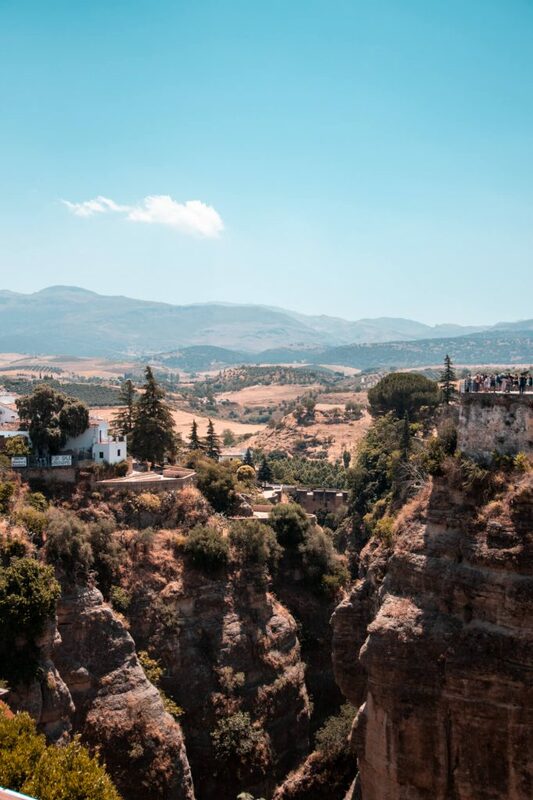 We were very keen on visiting Ronda and felt it was more than worth the journey. It was a great taster and it only left us wanting more time there but I would recommend planning ahead, decide where and what you want to see beforehand if you choose to visit by this method.